​To help your travels go more smoothly, we've gathered these travel resources. We recommend that you review the information on these sites before you start your travels and have them handy while you're away. Remember, all policyholders have access to 24/7 emergency assistance should the unexpected occur. 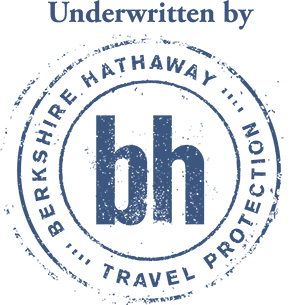 Find out key information on world events, alerts and blocked providers for Berkshire Hathaway Travel Protection from Cover-More. Visit our Frequently Asked Questions for key information on our policies, claims process, emergency assistance and more. STEP is a service of the Bureau of Consular Affairs designed to allow US citizens and nationals traveling abroad to enrol their trip with the nearest US Embassy or Consulate. The free service keeps the user up to date with safety conditions in your destination country, helps the US Embassy contact you in an emergency, and helps your family and friends to stay in touch in an emergency. The website of the Traveler's Medical and Vaccination Centre (TMVC) offers expert travel health advice, information about vaccination and malaria and current health alerts for overseas travel. The Healthy Travel Fact Sheets are a useful resource for all travelers. The CDC works to protect America from health, safety and security threats, both foreign and in the U.S. Its website offers health information sorted for travelers. Try this easy currency converter from XE. Use the world clock for time zones sorted by city, country or time zone.